One of my greatest comedy influences and certainly the primary inspiration for the comedy style of my comedy team Isaac Air Freight was Stan Freberg. I first began listening to his records when I was about 10 years old. Soon I had every sketch, every record memorized. Freberg’s most popular sketch was his 1953 Dragnet parody, St. George and the Dragonet. Freberg’s irreverent take on the series produced the fastest-selling single in history — more than 1 million copies in three weeks and earned its mastermind a gold record. Later his sketch became the template for the Isaac Air Freight sketch Jerusalem Dragnet. Freberg was also the voice of Cecil the Seasick Sea Serpent on the Beany and Cecil Show…which I watched daily as a kid. In 1988, I had the pleasure of having Stan Freberg as a guest on the radio show I hosted with my life-long friend, Bob Bennett. He was a great guest and wonderful Christian man. 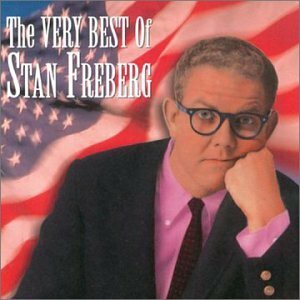 Stan Freberg passed away on Tuesday April 6th at the age of 88. Happy 38th Birthday Saturday Night Live!